The women’s basketball head coach is on paid leave pending an investigation into conduct allegations. On Monday, news surfaced that four coaches on the UNC women’s basketball staff, including head coach Sylvia Hatchell, had been put on leave pending an investigation into the culture of the program based on the testimonies of “student athletes and others.” Nothing else was known about the situation at the time, but last night more information surfaced. This is the comment that has gotten the most attention because of the racial connotations of nooses and trees, and it’s the one thing that, according to the article, has already been addressed in some way: AD Bubba Cunningham was made aware of this comment soon after it happened, and ordered Hatchell to apologize. The players’ parents report that this apology came “begrudgingly,” and only after refusing several players who had asked her to apologize before Cunningham’s order. In addition to the “nooses” remark, Hatchell also has been accused of trying to get her players to engage in a “war chant” to “honor” the Native American ancestry of an assistant coach, Tracey Williams-Johnson... Williams-Johnson was visibly uncomfortable with Hatchell’s comments. The players and their parents felt that this was racially offensive, according to the Washington Post’s story. 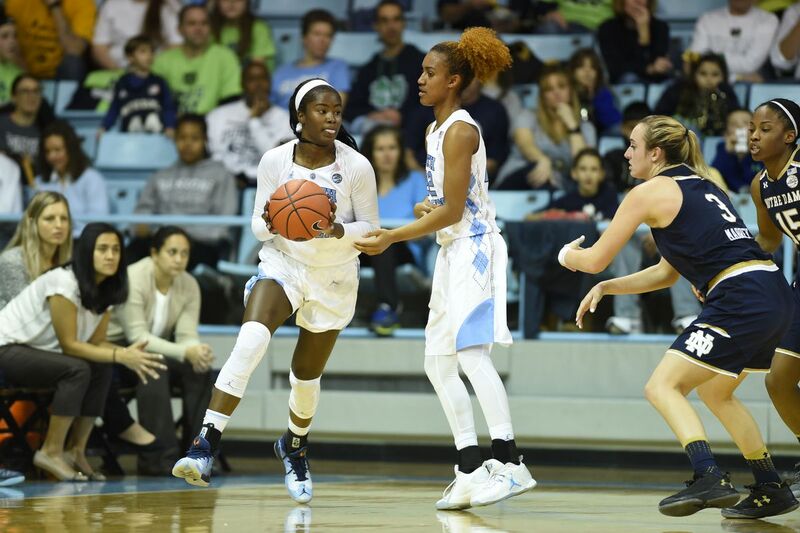 Unfortunately, however, that wasn’t the end of their concerns — Emily Sullivan and Stephanie Watts suffered injuries during their time at UNC, and Hatchell allegedly asked them to play through their ailments. North Carolina medical staff waited three weeks to perform an MRI exam [on current UNC junior Emily Sullivan’s dislocated shoulder in 2016], and when they finally did, [...] told the Sullivans their daughter had suffered a dislocation with swelling, but could continue to play with the aid of cortisone shots for the pain. [Team physician Harry] Stafford assured the Sullivans there was no tear in their daughter’s shoulder and that the Tar Heels needed her to play because another player recently had learned her career was over because of knee damage. Sullivan played the remainder of her freshman season and her entire sophomore season with her shoulder regularly slipping out of its socket... In discussions with Hatchell, [...] the coach discouraged her from getting surgery, which could cause her to miss part of the upcoming  season. Sullivan [then] got two outside opinions, and both doctors found she had a torn labrum and needed surgery... After she finally got surgery in October 2018 — nearly two years after the initial injury — the surgeon informed her parents she had actually suffered three tears to her labrum, and her rotator cuff required complete reconstruction. Watts’s father was angered by the situation and encouraged his daughter to get a second opinion. When Watts told Stafford she was going to see someone else, she later told several people, Stafford for the first time described her injury as a torn tendon. The second doctor Watts consulted confirmed a tear in her medial patellar retinaculum. The injury didn’t require surgery, the other doctor told Watts, but she needed at least eight weeks’ rest. Elsewhere, Stafford stated that he knew Watts’ injury was a torn retinaculum, but did not disclose this because “it often sounds worse than it is,” so he told her it was “injured” and not torn. The prognosis for the former is about two weeks of rehab; the latter, as we’ve seen, requires eight weeks’ rest. Hatchell was either misled by Stafford as well or had access to the same information he did and knowingly called her “day-to-day” despite her not being in playing shape. According to the News & Observer, Watts, Destinee Walker, Jocelyn Jones, and Kennedy Boyd have all entered their names into the transfer portal, and one more player whose identity is unknown at this time may join her teammates in leaving the team if Hatchell stays, according to the Post. Emily Sullivan also entered her name into the portal, but withdrew it just before this announcement. For Hatchell’s side, her lawyer, Wade Smith, says “the comments attributed to her by parents of players are incorrect and misconstrued.” Of the “noose” comment specifically, he claims, “‘She said, ‘They’re going to take a rope and string us up, and hang us out to dry,’’” which would remove much of the racial connotations reported by the players’ parents. In the statement released to the public on Monday, UNC said it had hired a firm based in Charlotte, Parker Poe Adams & Bernstein, to “assess the culture of the women’s basketball program and the experience of our student athletes.” There is no timetable or further explanation of what this might mean, though it’s worth noting that Hatchell’s current contract ends in June 2020. We’ll keep you updated as this situation progresses. UNC Basketball Season Awards: Biggest Moments of the Year The 2018-19 season was a lot of fun, but these moments stood out above the rest. UNC Basketball 2019 Year in Review: Best Wins From sweeping Duke to trouncing Gonzaga, here are the five best wins from this past basketball season. The Debate: Was the basketball season a success? Depending on one’s view of college basketball, the 2018-19 campaign was either great or disappointing. UNC Recruiting: The importance of landing Cole Anthony Anthony’s decision could either make UNC competitors this fall, or be the ultimate backbreaker to their ability to compete.